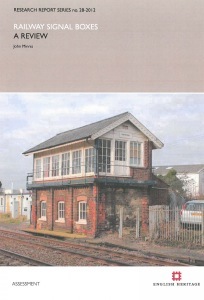 This report provides a national review of signal boxes, both operations Network Rail boxes, and those out of use, on heritage railways, and in museums. It identifies the most significant remaining examples and makes recommendations as to boxes for to go forward for assessment for listing. It aims to fill gaps in existing listings ensuring that a representative sample of the principal types is protected.